My favourite book as a child was Magic Beach by Alison Lester. 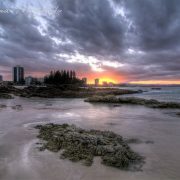 I dreamed of building sand castles, paddling boats in the bay and finding colourful star fish. It wasn’t until I turned 18 and moved to Townsville that I discovered my dreams were about to come true. Let me introduce you to Magnetic Island. 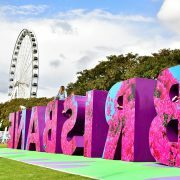 I spent much of my university days in Townsville floating around and exploring this spectacular paradise that is known to the locals as Maggie (I subsequently did not get any study done at all!). Unlike most of the islands on the north-eastern coast of Australia, Magnetic Island is still breathtakingly untouched. You won’t find high rise holiday apartments blocking out the sun and casting shadows on your favourite beach here. Averaging 320 days of sunshine per year due to its perfect location in a rain shadow, Magnetic Island is located just 20 minutes by fast “Cat” (ferry) from Townsville. As a student, my friends and I would stay at the X-Base Backpacker Hostel and feast on cheap fish and chips washed down by ice cold vodka and beer. 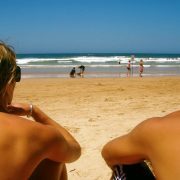 However, if it is luxury you are after, there are a number of stunning accommodation spots to choose from. A personal favourite for that romantic weekend away is Peppers Blue on Blue. And if you are lucky enough to have your own boat, you can moor it at Pepper’s private marina. There are also a number of beautiful villas and private houses for rent. During my student days, we used this island as an adventure playground. 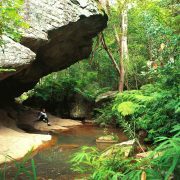 Explore the 24kms of walking tracks made through the rainforest and around the gigantic boulders that Magnetic Island is famous for. Along these paths you will come across lookouts and forts from World War II, where American soldiers would look out over the ocean in search of enemy fleets. If history isn’t your thing, these paths also lead to some of the most stunning and completely secluded beaches you will ever see, accessible only by foot or boat. At night, there are bars aplenty, full of international backpackers and tourists sharing stories and a cold drink or two. If you are a foodie, the seafood is fresh and the beer is always cold! Who would have thought that there could be an award winning French restaurant on this little slice of paradise? Restaurant Le Paradis is adjacent to the Nelly Bar Harbour – I highly recommend the crème brûlée! You can hire a boat or join in on a sunset cruise with other holiday makers and float around the Island whilst sipping on cocktails and gorging on fresh cheese and seafood. Ride a horse on the beach at sunset, kayak from bay to bay to discover hidden inlets and beaches, try jet skiing or water skiing. 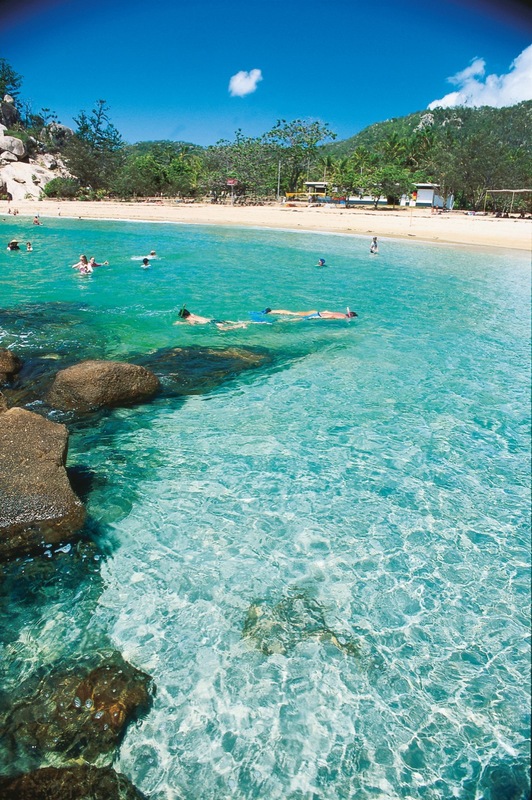 Magnetic Island is part of the Great Barrier Reef so whilst you are there, snorkelling or diving through the clear blue waters to the colourful reef below is a must! 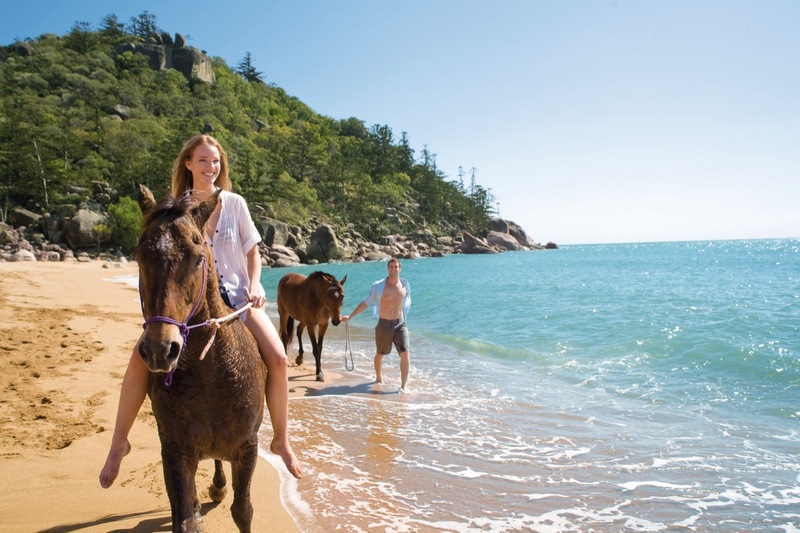 To plan your adventure on Magnetic Island visit Magnetic Island Informer for tips on things to do, places to stay and food to eat! Oh – just a note to end on. Stinger suits. Use them. I can’t remember how many times there was no vinegar on hand when a friend was stung by a stinger. And when there is no vinegar on hand… well… ask the locals what the next best alternative is. Natalie loves travelling, and having grown up in north Queensland (Bundaberg and Townsville) she has seen some of the best things the Sunshine State has to offer. Natalie now runs The Cake Tree in Brisbane, designing custom cakes for any event.